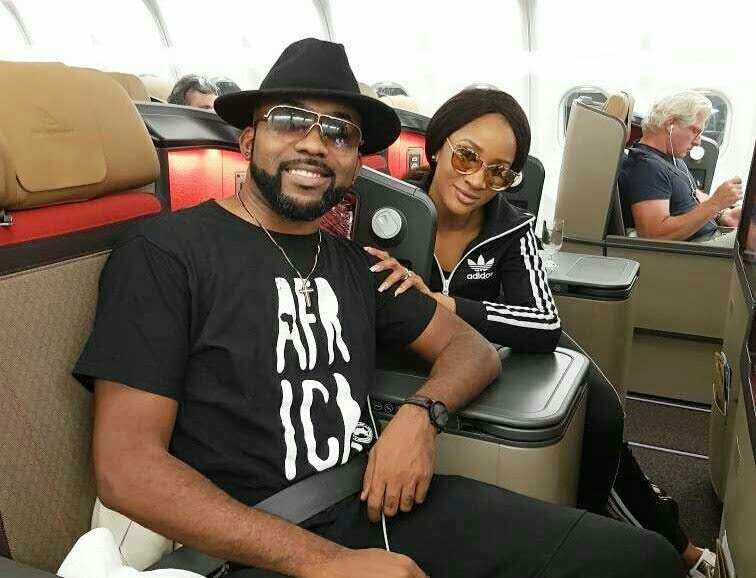 The Nigerian social media community has reacted to reports of Nigerian R and B singer, Bankole Wellington, also known as Banky W, mistakenly sharing his wife, Adesua Etomi’s ‘naked’ image online. The couple, who met during a movie shoot, had their wedding in Cape Town, South Africa, over the weekend. The incident sparked mixed reactions among his fans and followers. Reacting to Banky W’s action Nigeria, who took to Facebook wrote: Musa Gbenga Gafar: This guy Banky is too daft for my liking… Wise up man! Sylvester Chukwuma Nwachukwu: Married women should stop posting beautiful pics of themselves. Why advertise goods that are no longer in stock? Chukwu Lawrence: A very grievous mistake for that, if at all it was a mistake. Njere Iyke: They have advised people against social media but u people won’t be listen well this is just the beginning. Peter Abioye: Let him do whatever he likes with his second half please. Leo Nicky: Yes is good ,she and he are public figures, and social media wife, so why making her nakedness secret ,it should be made open. Oiseomohie Oluniyi: Season 2 intro- Adult content PG-50…. Macarthy Destiny: Who needs the link to the picture?